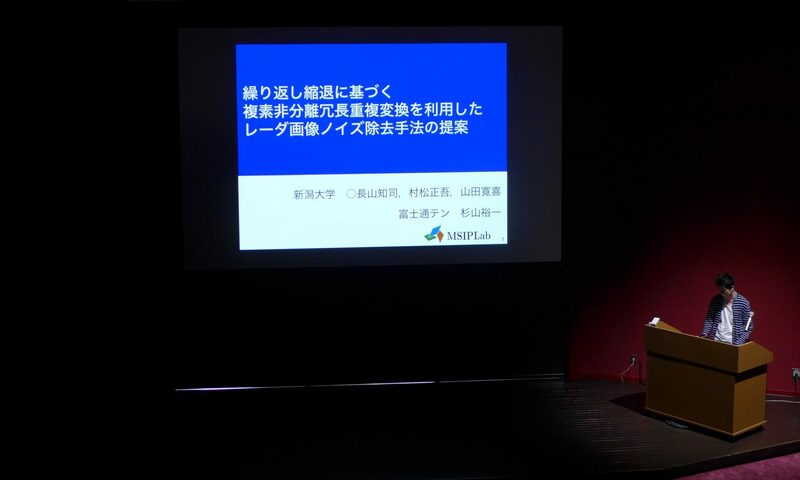 Life Science – MSIP Lab, Niigata Univ. 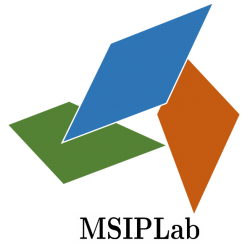 MSIP Lab is working on restoring medical images by usign signal processing techniques. In this project, we aim to clarify the vibration mechanism and auditory function of the inner ear cochlea. 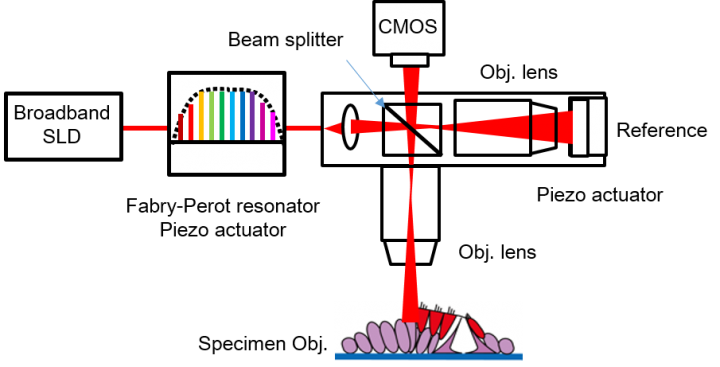 By optical coherence tomography (OCT), tomographic images and volumetric data of living tissues are measured with a spatial resolution in μm order. Meanwhile, deterioration of observation data (sensitivity noise of imaging device, blur due to lens aberration, etc.) is a problem. 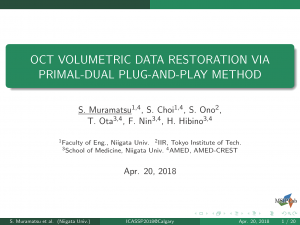 In MSIP Lab, we study the restoration algorithm for volumetric data and aim to improve the quality of OCT data. 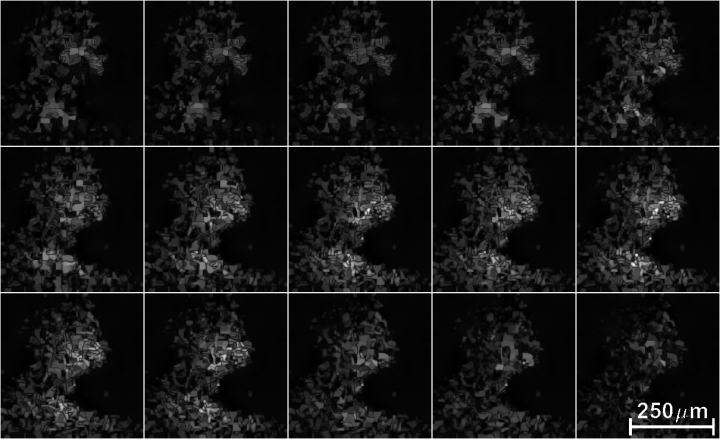 Samuel Choi, Keita Sato, Takeru Ota, Fumiaki Nin, Shogo Muramatsu, and Hiroshi Hibino, Multifrequency-Swept Optical Coherence Microscopy for Highspeed Full-Field Tomographic Vibrometry in Biological Tissues, Biomedical Optics Express, Vol. 8, No.2,10.1364/BOE.8.000608, pp. 608-621 Feb. 2017.